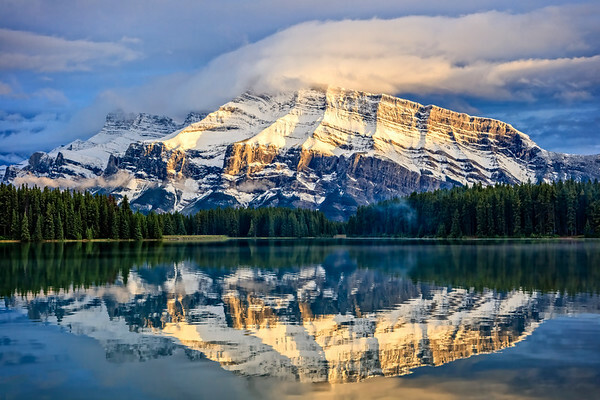 New Releases of Scott's Signature Prints. 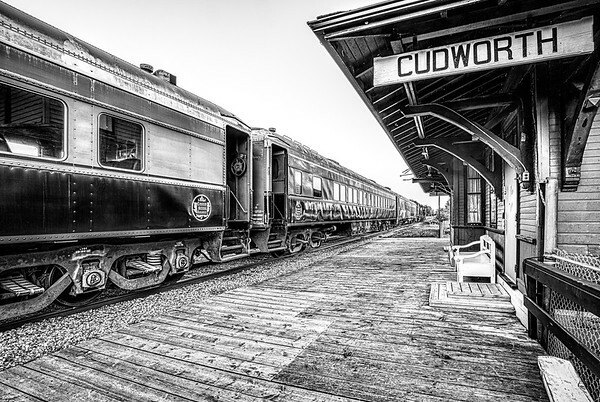 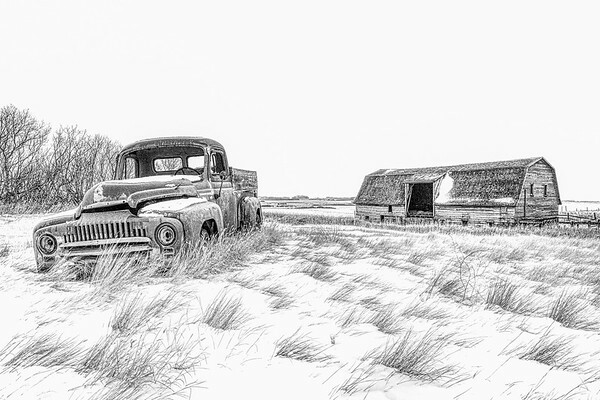 Purchase multiple sizes and media on canvas, metal and fine art paper. 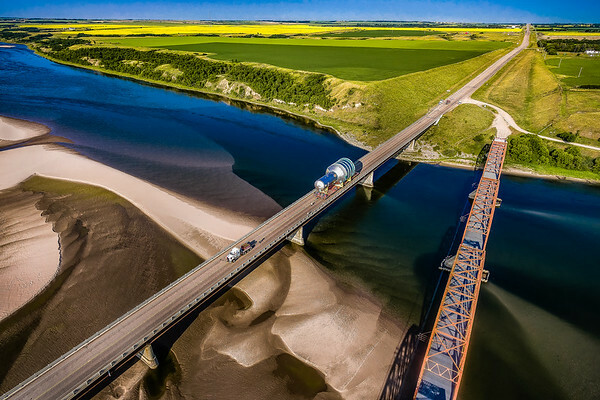 Heaviest load in Saskatchewan history being transported over the Outlook Bridge on its way to one of the Potash Mines. 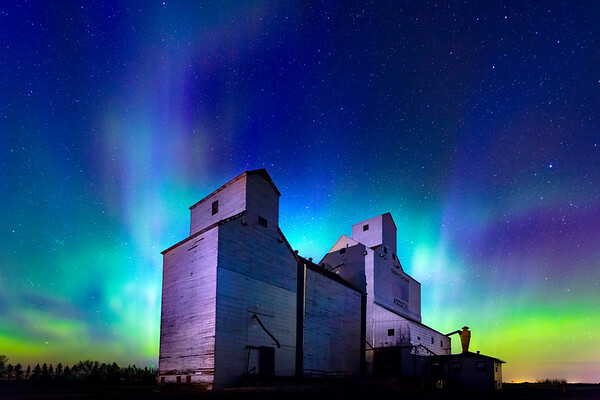 The northern lights over the Asquith Grain Elevator. 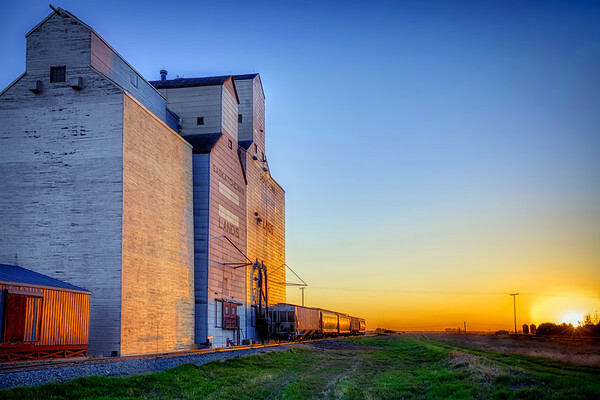 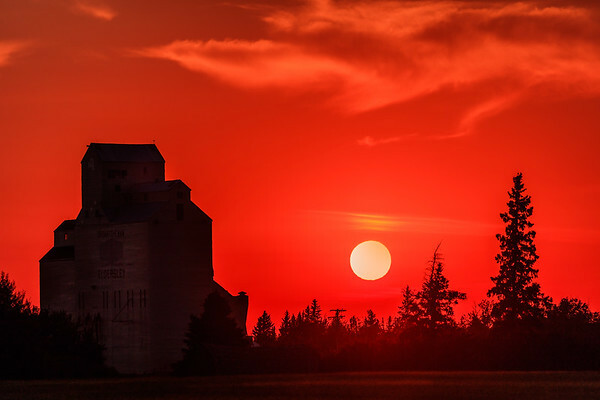 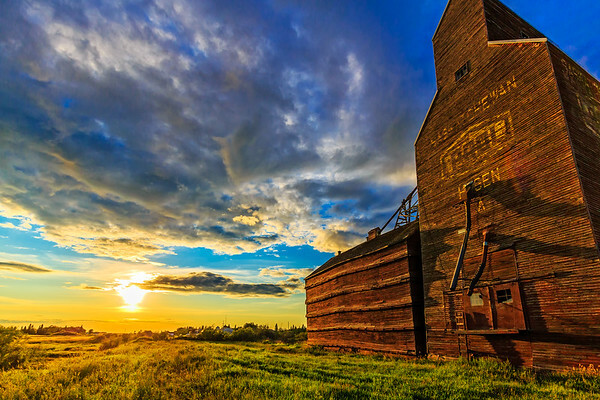 The sun sets over the prairies in the small town of Landis, Saskatchewan. 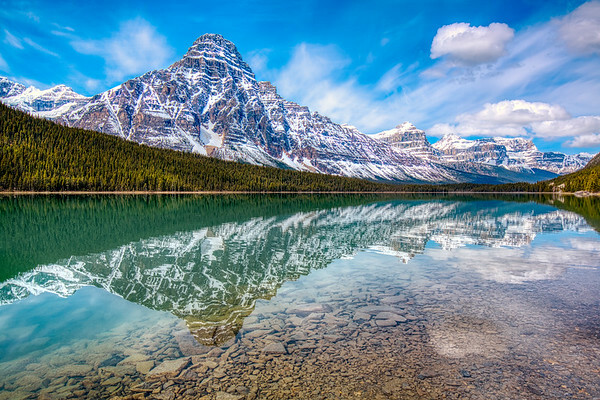 The calm waters of Waterfowl Lake with a reflection of Mount Chephren in the Rocky Mountains of Canada. 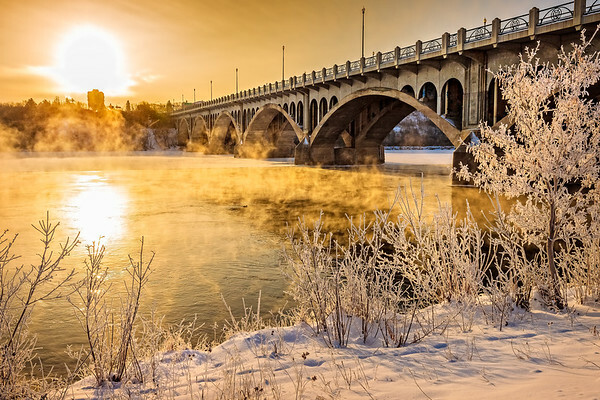 The cold water of the South Saskatchewan River flows under the University on a frosty morning. 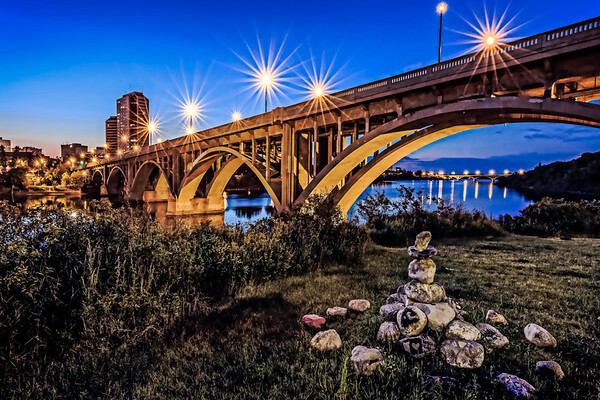 Twilight over the South Saskatchewan River in Saskatoon by the Broadway Bridge. 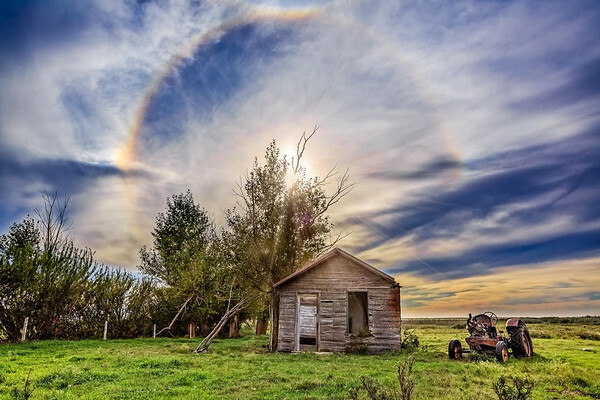 A Solar Halo around the sun over an abandoned grain bin and tractor.